Originally from the UK, Tatonic (Julian) has been living in Melbourne for the last fifteen years. The name is a hybrid of his surname Tatton and the word 'sonic.' With the availability of monikers for artists starting to dwindle, "people have thought of every name you've thought of," Tatonic was settled on after testing the waters with friends. "When I floated the name, no-one laughed, no-one said it was crap." He adds, "More people have come up with their own reason for the name, like catatonia [catatonic], which is actually a serious condition!" The album, 'Late Night Inertia' released in February, is receiving positive accolades – already RTRFM and BBC Radio have touted their praise. After rifling through a number of "different album names, I wanted it to do what it said on the tin. Picture this, you're sat on the couch, and you've had a late night. You want to peel yourself off the couch, but you can't be bothered. You're ready to chill out, but not ready to sleep. You just can't be bothered, I'm sure you've experienced it?" He's right; I'm nodding my head in agreement and remembering those times. We've all been there. The vibe of the album is slow, and proving to be an interesting soundtrack for people's daily habits. "It's 80 bpm (beats per minute), and people think it is perfect for coding in IT, working in an office, chilling out in traffic jams or staring out of an aeroplane." I mention it's also great for us perennial students. "The sound I have gone for definitely is British chill out music. Think: Nightmares on Wax, Portishead, Massive Attack, Lemonhead, Fila Brazillia – interestingly, I joined Twitter a week or two ago, and I got retweeted by Fila Brazillia, validation!" Validation indeed. From being told he was "too old to learn the violin at eight years old, you had to be six years old," Tatonic was on a quest to get into a band. He started playing music at 15, and did the 'Indie Rock band thing' at college. While working at a shop in Leeds, he "got to know John Squires, he was my idol growing up." Fans may know him as the legendary guitarist in The Stone Roses. Interestingly, Squires and Tatonic are not too dissimilar in their approach to guitar – they are both largely self-taught. It's a none too bad comparative point. 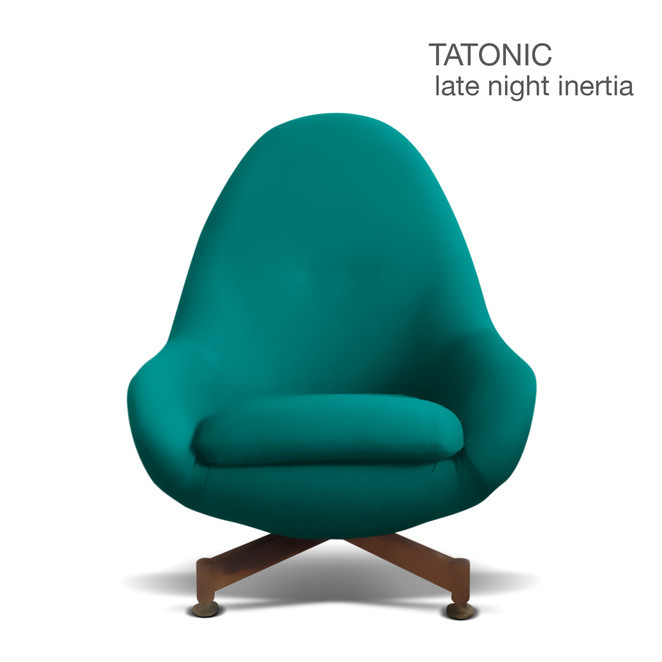 When it comes to the 'writing' of his songs, Tatonic explains it is mostly done on guitar or drums. "The writing starts with a drum beat and I make a chord progression from there. [It really] comes randomly." He explains that singer Tom Waits sums it up well, "creativity is a spirit that visits you at random points." You need to "get the idea, then you've got to write it down quickly." Laughing, he recounts inopportune times a tune will come along – like when he's driving, "I'll scream out, 'why did you come to me with this now!'" For those who love piano driven melodies, the album will be a downbeat reprieve from synth driven dance tracks. "The way I describe it is almost Debussy, DJ Shadow and the Aphex Twins all got mixed up in a pot and that is what it sounds like." With a purpose built home studio, "I just made myself do an album." He sees the rise of home studios and multi-instrumentalists, as a product of how busy and time poor people are. Committing to a band can be a juggling act. "One of the hardest things is finding a time when everyone can get together. [The] joy of being a multi-instrumentalist is, you've got your vision and you can create everything how you want it, there are no creative differences. Once you master one [instrument], you are building and growing on what you have." The home studio allows Tatonic to play around with, "condenser mics, Midi instruments, and use the computer. It just means you can be so versatile. I tended to hurry through the mixing and really get excited about mastering the track. What I've learned the hard way is, trying to mix before the track is perfect." Experience has shown him that mastering is like "a black hole you can fall into – you just keep tweaking – then, it can take forever." With time a major component for musicians, he now works four days a week, and spends "a full day on the tunes." As a psychologist, he says it's important for him to, "practice what I preach about brain health and happiness, and general wellbeing." Even though it took several years to learn the instruments, setting goals has been an important part of this journey. "I get excited when I can't do things. Lifelong learning is critical, it has to be challenging learning." He adds, "Music is the most engaging activity, in terms of brain activity." Producing an album has been a great form of expression. Now as a published artist, he's receiving validation, especially from previously cynical fans. "Most people were surprised. I just think, why did you assume it is going to be crap?" He doesn't see this as a bad thing, just a product of "how hard it is to get people to listen to something. People are competing for attention, as music has been cheapened." We discuss the days of saving up to buy an album, whereas now, punters are more inclined to listen to it on Spotify. "I've worked out you need to play a track 2000 times to buy a coffee. You don't get even one cent." For Tatonic the trade off is that it allows people to hear his music. "When the album was launched on iTunes (USA), I made the new electronic chart for music at #2. People were like, 'wow that is awesome', screenshot it and sent it around." The well meaning assumption was, he became a "millionaire". After looking at iTunes, "it was probably enough to buy a coffee and sandwich." Distribution is a key element for independent artists, "I do everything myself. It's fascinating, you can do everything from home," he's had the album played on BBC UK, college radio in the USA, RTRFM and PBS non-commercial. "I also got a note it was on the radio in Columbia and Japan." Locally, he's keen to let the "album breathe and find an audience." He's deliberately ordered the tracks to create a feeling throughout. The intention is for "people to buy the album, and switch off for half an hour, rather than listening to your iPod." It's at this point we realise people don't really own these anymore. But, there's always room for a couch and bit of Late Night Inertia.